Certified nurse assistants provide personal care to residents in long term care facilities. They don’t treat patients directly, but their constant interactions with patients place them in a unique position to identify and report concerns to doctors and nurses. If you plan to enter the healthcare industry as a CNA (or LNA as they’re called in Vermont), you need to obtain proper training. State-accredited institutions, such as colleges, nursing homes, and the American Red Cross, provide intensive training to prepare graduates for success in this entry-level position. Hands-on training is a crucial aspect of most programs as it prepares students for the state certification exam. The Vermont State Board of Nursing regulates the practice of nursing assistants in the state. They approve nurse aide training programs, provide licenses to those who pass the state competency exam and oversee the operation of the nurse aide registry. Certified nursing homes and long term care facilities cannot hire an individual to provide direct care services for more than 120 days (4 months) unless the individual is in active status on the nurse aide registry and demonstrates competency in the provision of nursing related services. Training provides prospective nurse aides with the education needed to pass the state certification exam and execute their roles as a part of the health care team. Employers have a legal responsibility to ensure all members of staff, who provide direct care services as LNAs, are in active status on the registry. Vermont, in accordance with federal regulations, lets nurse assistants work for a period of 4 months, without a license while pursuing training and state certification. The 4-month period is non-renewable, so you must successfully pass the state exam during this initial period. Nursing students (enrolled in state-approved programs), foreign nurses, and military-trained personnel can apply directly to the Board for exemption from training and take the state certification exam for placement on the registry. A high school diploma is not required to enroll in most LNA training programs. However, the training institution reserves the right to request a copy of your high school transcript or GED equivalent. Many schools will administer a pre-enrollment exam before admission to evaluate your reading, comprehension, and basic math skills. A mandatory information session, conducted before classes commence, presents an overview of the training, requirements, and expectations for graduation. Vermont’s Board of Nursing approved training programs provide at least 75 hours of training divided into classroom and hands-on lab and work in a clinical setting. LNA students acquire the education and skills that teach them how to care for residents of nursing homes, hospitals and assisted living facilities. The goal of any training program is to teach students how to care for residents without compromising their independence and quality of life. The classroom curriculum covers nutrition, the role of the nurse assistant, communication, patient rights, anatomy, medical terminology, controlling infections, safety and emergency, patient mobility, caring for patients with special needs, death and dying. After completing the classroom and hands-on lab requirements, or at some point after the first 16 hours of classes, students complete a clinical rotation at a licensed nursing facility. This rotation gives students a chance to put their skills to work and operate in a team under a nurse’s supervision. Training programs are generally 3 to 4 weeks long though there might options for two-week fast-track training. Program graduates are eligible to take the state exam for placement on the registry. 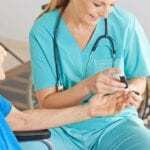 Nurse assistant training is free if you’re employed at a nursing home – in such an instance, your employee must pay for your training and state certification. Even if you’re not currently employed in a healthcare setting, you can qualify for reimbursement for the cost of training if you acquire a job as an LNA within 12 months of training. Note: to qualify for the prorated reimbursement, you must enroll in a state-approved program and present your receipt paid for with your personal funds. Only licensed facilities are required, by law, to reimburse expenses. The tuition at Vermont’s colleges, universities, and private institutions costs an average of $650. Other expenses, such as uniform, shoes, gait belt, registration, books, materials, and state certification fees could push your total cost to $1100. There are few options for financial aid due to the short-term nature of nurse aide training. However, you should check with a financial aid officer to discuss options for grants and scholarships. You should also check with rehabilitation facilities in your local area to find out about opportunities for sponsored training. 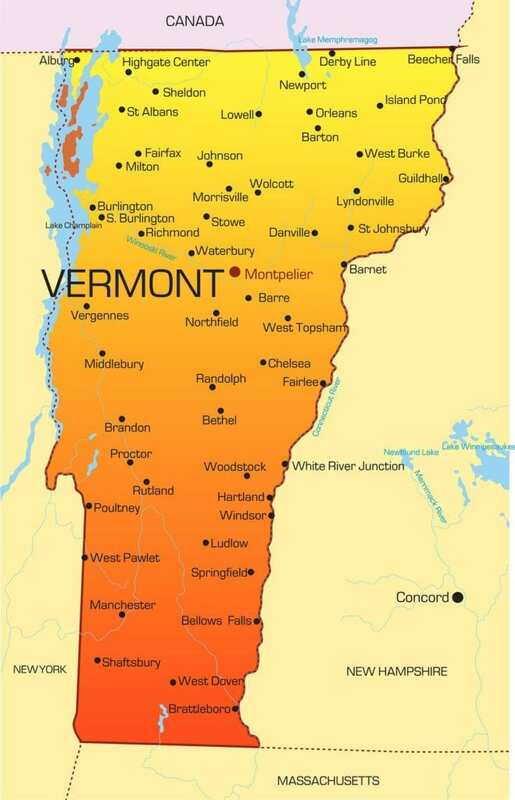 Pearson Vue administers the two-part nurse aide competency evaluation to Vermont’s candidates. First-time testers must take both components of the exam, written (or oral) and skills evaluation, on the same day. Candidates have up to two years after training or three attempts to pass the exam for placement on the registry. The written exam contains 70 multiple-choice questions written in English. If you have difficulty reading English, you can request the oral exam at the time of application. The oral exam contains 60 multiple-choice questions and 10 reading comprehension questions to test your understanding of common English words. The duration of the written exam is 2 hours. The 30-minute skills evaluation tests your performance of 5 nurse assistant skills; handwashing and 4 others selected at random. You must perform the critical steps in each skill in order to pass the exam. An example of the written test and a list of skills along with the critical steps are available in the candidate handbook. You must pass both the written and skills evaluation to qualify for inclusion on the nurse aide registry. The registry will mail a notice to renew your license six weeks prior to the expiration date. It is crucial that you maintain an accurate address at the registry to receive notices.